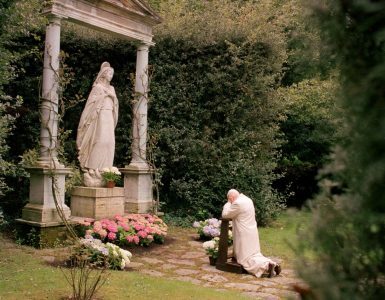 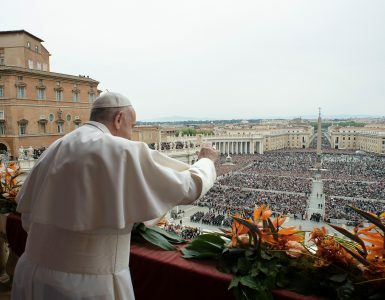 The John Paul II Foundation Chapter in Munich has years old tradition to organize religious book fairs during the pre-holiday periods (during Lent and Advent). 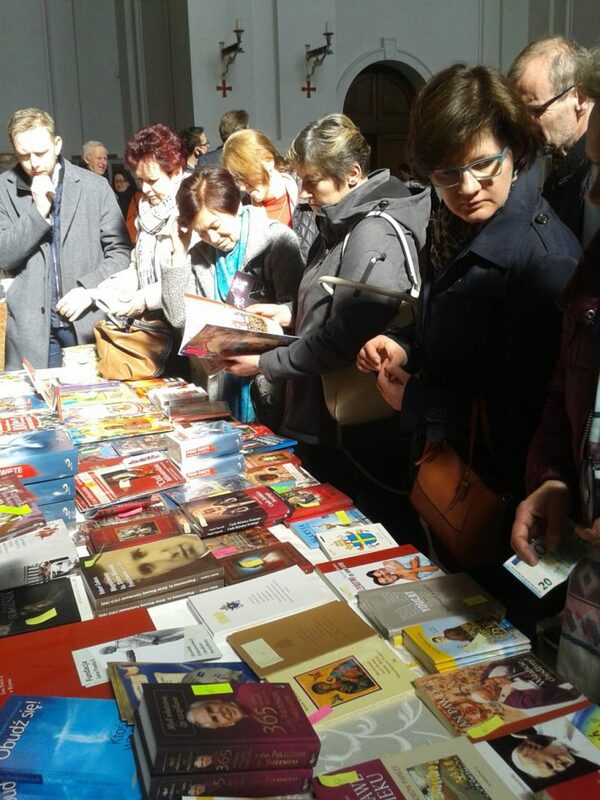 Book fairs starts in the morning after two Masses for adults and for children in the parish hall in Munich at Heßstr Street. 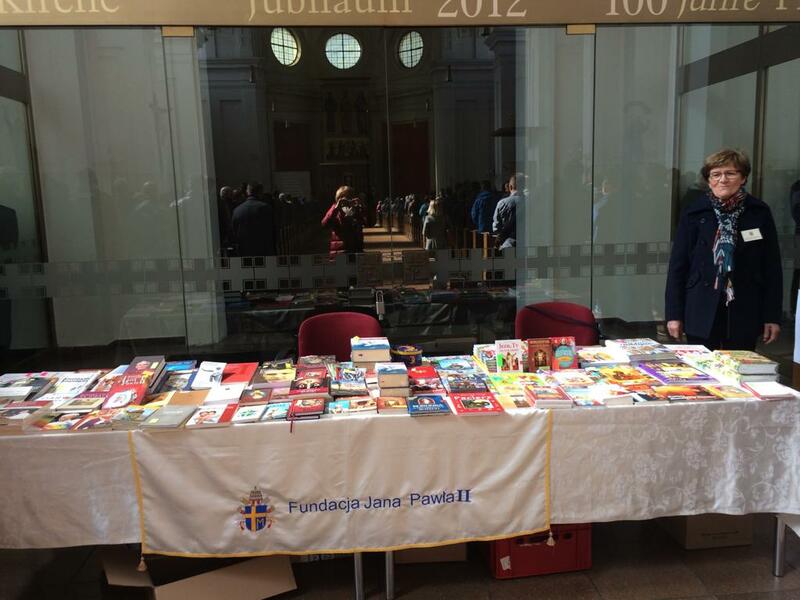 Then, after that book fair we transport all books to St. Joseph Church, where we also setting up another book fair. 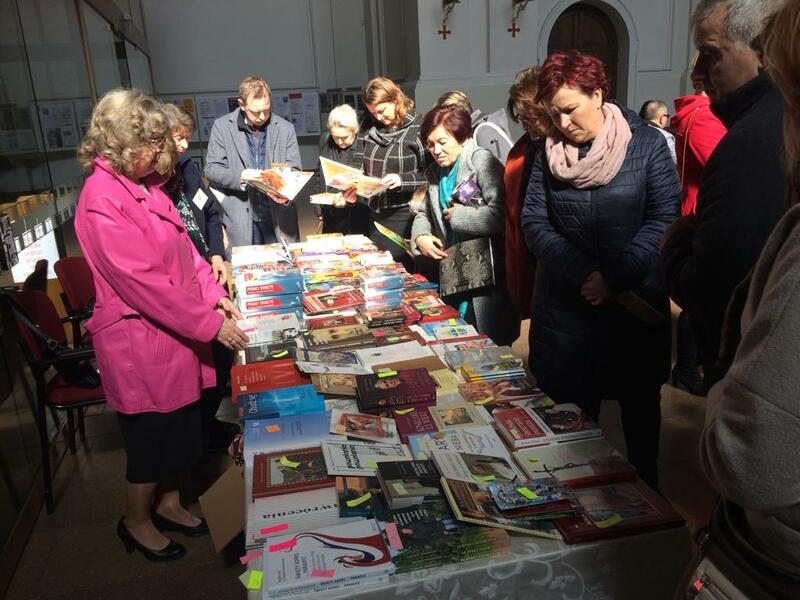 After the Mass at noon, numerous faithful people can buy good and worthwhile books. 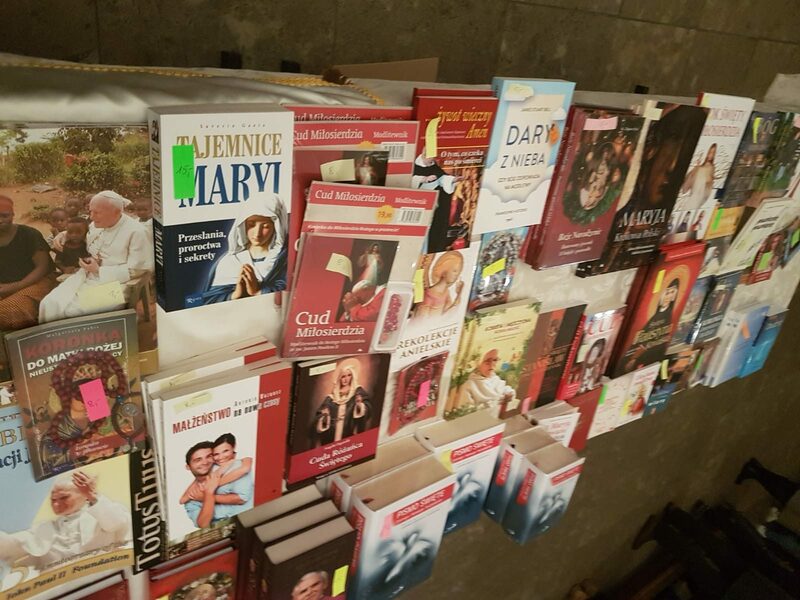 At the same time, at the St. Monica Church, where two Masses are celebrated, also a book fair is organized. 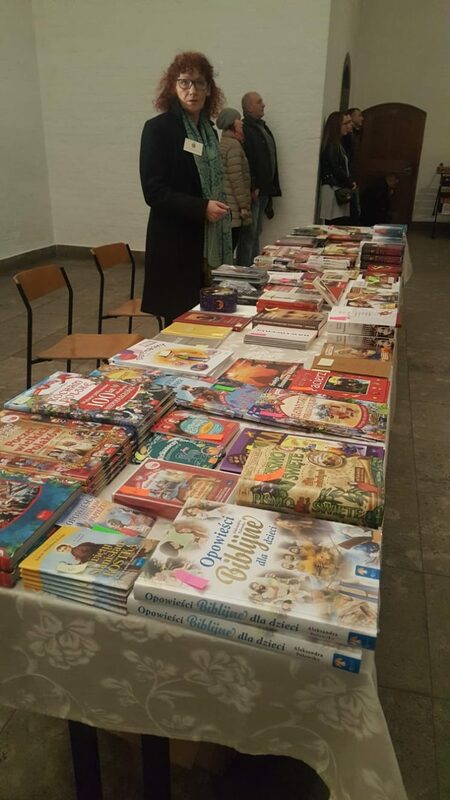 All book fairs end after evening Mass at the Queen of Peace Church. 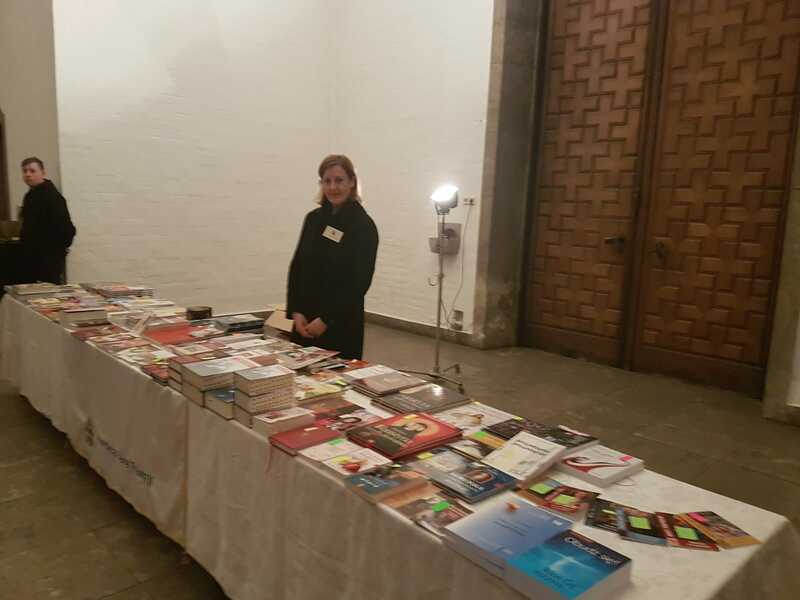 While selling books, we always remember to place the Holy Scriptures at the first place. 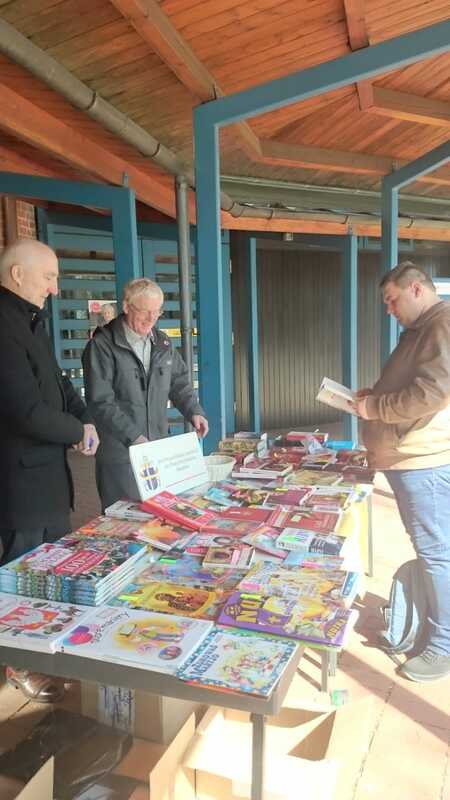 We sell Bibles for adults and children. 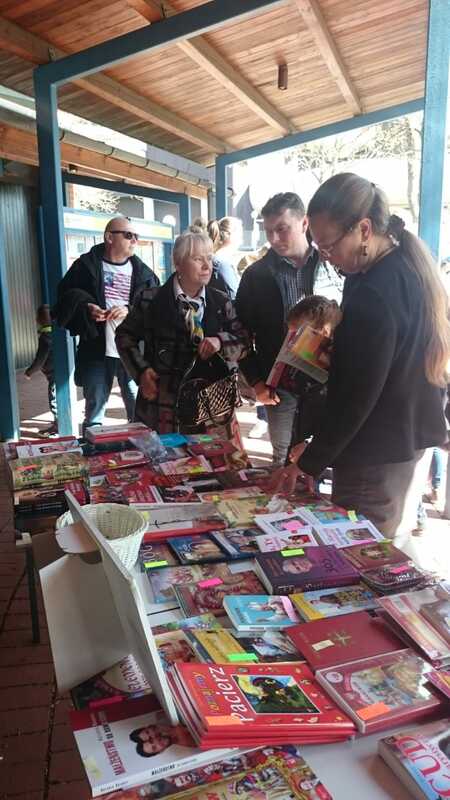 At our tables, we always have valuable books for adults, young people, and children. Through our book fairs, we are contributing a “brick” to build Christian culture; we are directing people to God and supporting our Foundation. 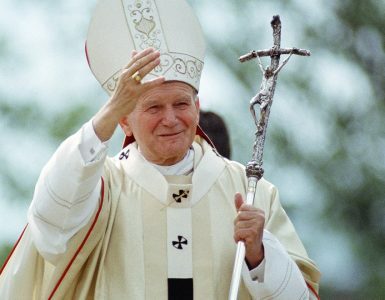 The entre proceeds from our book fairs support the John Paul II Foundation. Marta Czempik – the president of the John Paul II Foundation Chapter in Munich.